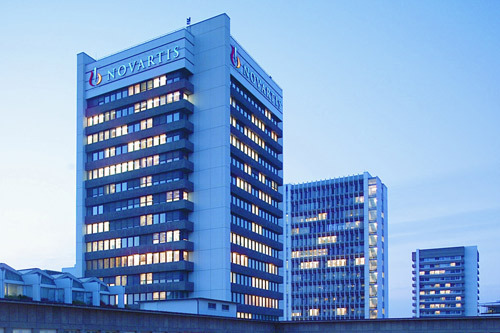 Novartis is hoping for approvals for its new multiple sclerosis therapy siponimod in the US and Europe next year after filing the drug to regulators. Siponimod (BAF312) – which is a follow-up to Novartis’ established MS therapy Gilenya (fingolimod) – is the first and so far only drug to have demonstrated it can delay the progression of secondary progressive MS (SPMS) in clinical trials, according to the drugmaker. SPMS is a tough-to-treat variant of the degenerative condition, and while it is less common than relapsing-remitting MS, which accounts for 80% of all patients, but is much more debilitating and causes steady, irreversible worsening of disability as well as declines in cognitive ability. Around a quarter of patients with RRMS go onto develop SPMS within 10 years of their initial diagnosis. There is an urgent need for effective treatments for SPMS, and that has analysts predicting blockbuster sales for siponimod if it clears regulatory review. In the EXPAND study presented at this year’s American Academy of Neurology (AAN) conference, siponimod showed a 14-20% reduced risk of disability progression in SPMS compared to placebo at three-months, with the difference expanding to 29-33% at the six-month timepoint. Siponimod also seemed to have a meaningful benefit on patients’ cognitive processing speed in the study. Novartis wants to get the new orally-active drug to patients as quickly as possible so is using a priority review voucher it earned for an earlier product approval to shorten the FDA’s review time – setting up a possible approval there next March. In Europe, a verdict is expected sometime before the end of 2019. Siponimod is an orally-active drug that works by binding to two sphingosine-1-phosphate receptors on T cells, preventing them from moving out of the lymph nodes and into the brain and spinal cord, where they can cause damage to the protective myelin sheath surrounding the nerve cells. That’s the same mechanism as $3bn-a-year product Gilenya, which is approved to treat RRMS but didn’t hit the mark in SPMS trials. Gilenya has also started to see sales plateau due to stiffer competition in that sector of the market and will start losing patent protection next year, so with siponimod Novartis has the opportunity to breathe new life into its franchise. Siponimod has an opportunity to tap into a niche not fully addressed by rival therapies. That includes Roche‘s new therapy Ocrevus (ocrelizumab), a humanised monoclonal antibody designed to selectively target CD20-positive B cells, which has been approved in relapsing forms of MS and primary progressive MS, which is another form of the disease with no approved therapies. Ocrevus’ indications does however cover SPMS patients with relapses, so there is some overlap between the drugs, and Roche’s drug has got off to a speedy start overall with sales approaching $1bn last year largely from the US alone. Another potential rival – Celgene’s ozanimod – hit the buffers after the FDA refused to accept the company’s regulatory filing earlier this year.